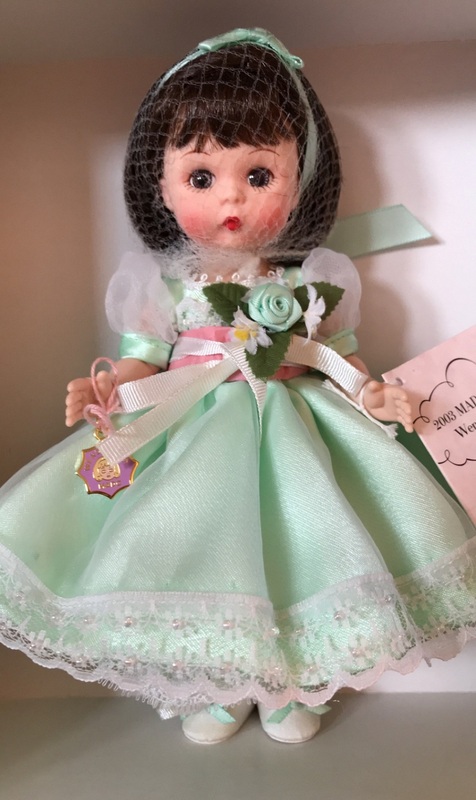 "Wendy Turns 50" was not only the centerpiece doll at the 2003 MADC Premiere event, but she was also the commemorative doll celebrating the 50th anniversary of Madame Alexander's beloved 8 inch Wendy doll (originally Alexander-kins) first introduced in 1953. To celebrate this auspicious anniversary, the Alexander Doll Company introduced the 'new' commemorative Wendy face sculpt - you can see the difference in the face molds of the 2002 and 2003 Wendy dolls. 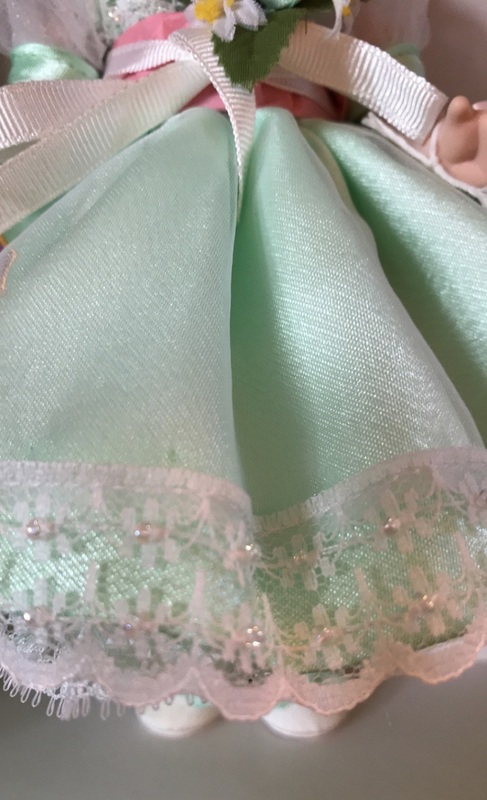 Her exquisite pastel mint satin party dress has a sheer white overlay. Both the bodice and the skirt overlay are banded with delicate lace embellished with hand-applied pearls and the short puff sleeves and banded with mint satin. Her sash is adorned with a corsage of satin roses and tiny lilies. 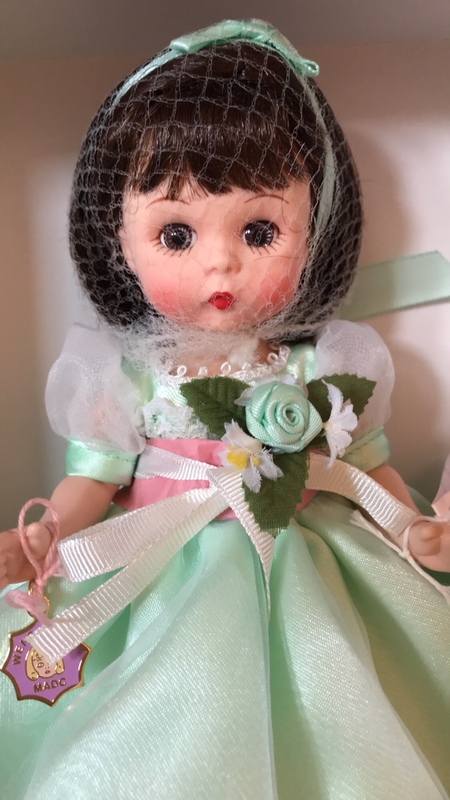 Her outfit also includes lace-trimmed satin petticoat; white tights; white satin slipper trimmed with mint bows and a mint satin, bowed headband. "Wendy Turns 50" centerpiece doll was produced as a Limited Edition of only 45 pieces. After her Premiere debut, she was carefully reboxed and stored in a standing position - never displayed; mint; all original.